A couple weeks ago, I showed you the yarn I used for the Design Wars "Back to School" Challenge, and here's my design! 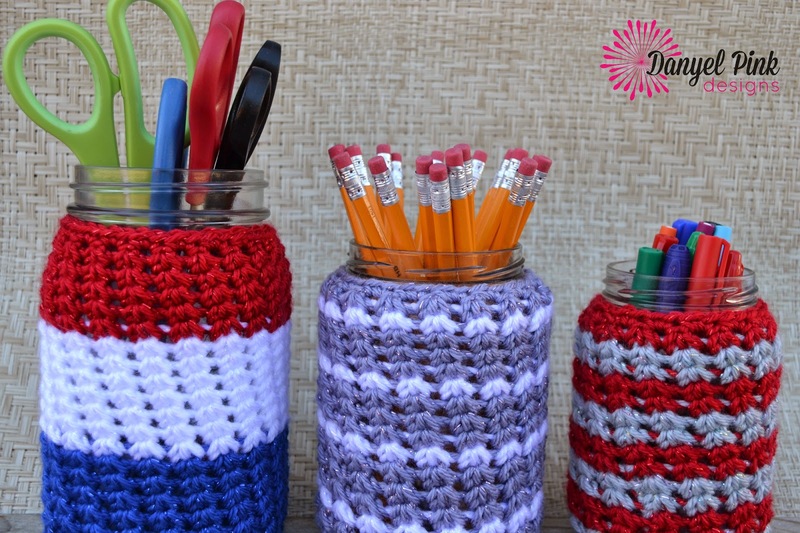 The School Spirit Jar Cozy takes a simple glass jar and turns it into a colorful caddy for school supplies or crochet notions! I reused pickle jars and Mason jars to make mine. These cozies work up quickly, have a nice texture, and make a great gift for teachers, students, or office mates! 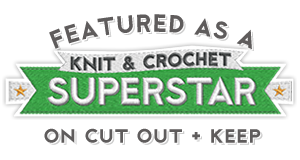 SIZES: Small (16 oz jar/10" circumference), Medium (24 oz jar/11.5" circumference), and Large (32 oz jar/12" circumference), with instructions for creating a cozy for any size jar. YARN: Worsted Weight. Samples shown using Caron Simply Soft Party (3 oz/164 yds), 1/2 skein each. The ch-1 at the beginning of each round does NOT count as a st. The last leg of the last cluster of each round is worked into the same space as the first leg of the first cluster. This hides the seam. I have not indicated color changes. Change to a new color by joining the end of a round with the new color. I used 16 and 24 oz pickle jars, and a 32 oz mason jar for my containers. Any similar glass jar will suffice. 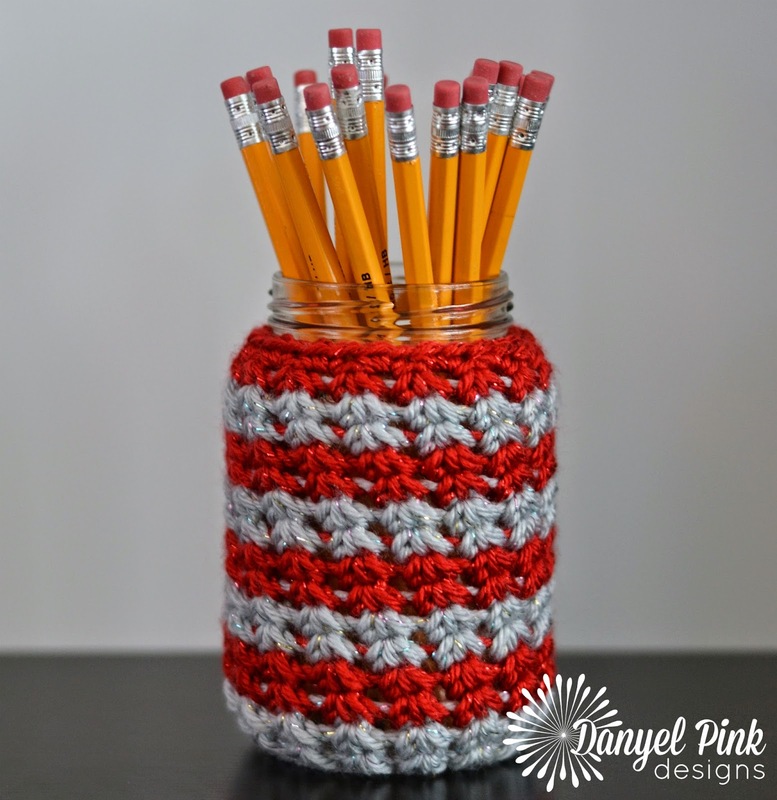 Notes throughout the pattern will help you customize a cozy for any size jar. JAR: written as Small (Medium, Large). *Circle should now measure 2.5" (3.0", 3.25"), or same diameter as bottom of jar. Round 5: Ch 1, sc3tog in same st as join and in next 2 sts, ch 1, *sc3tog in same st as last leg of previous cluster and in next 2 sts, ch 1; repeat from * around, join. Rounds 6 - 18 (20, 23): Repeat Round 5. *If using a different size jar, repeat Round 5 until cozy reaches just below threading on neck of jar. Slide cozy onto empty jar and give it a little twist to shift the clusters diagonally. Other yarns that will work well = I Love This Yarn, Red Heart Soft, Cascade 220, any WW Cotton. To customize your cozy for any jar, make sure base circle measures the same diameter as bottom of jar (the VERY bottom part that actually touches the table). Work clusters as instructed until cozy reaches neck of jar, then work final sc round to finish. Try alternating solid and variegated yarns for an extra colorful cozy. 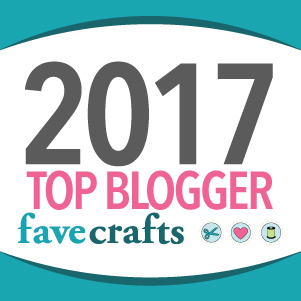 Decorate your jar cozy with appliqués, buttons, or embroidery.